Additional videos in channels like Blazer Fresh, Moose Tube, Indoor Recess, Think About It, and more. GoNoodle Plus games (Mega Math Marathon, Bodyspell, Field Trip, etc.) do not work on mobile devices or tablets at this time. These activities are playable only when using a desktop or laptop computer. GoNoodle Plus is $10 per month or $99 per year for an individual teacher. We also offer school pricing for GoNoodle Plus. School pricing is based on the number of teachers in the school and includes extra benefits like school-wide reporting. To get more information about school pricing, request a quote. 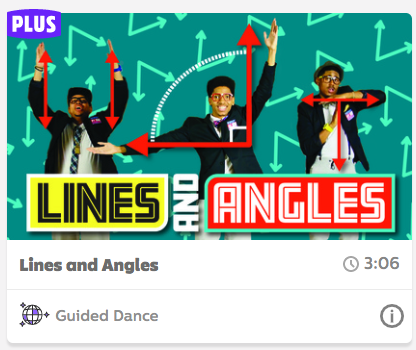 The Purchase GoNoodle Plus article lays out options on how to purchase Plus. Where do I find all the GoNoodle Plus activities? The GoNoodle Plus activities are all contained in the GoNoodle Plus home. If I'm in a channel, how do I know what activities are Plus? Plus content is indicated with a purple plus graphic in the upper left corner of the video display tile. I was given GoNoodle Plus through a sponsorship. What does that mean? Congratulations! If you received GoNoodle Plus when you registered, it's because an organization in your area sponsored access to GoNoodle Plus. There's nothing for you to do -- enjoy your access and share the great news with other teachers! If you wish to cancel, you can cancel auto-bill from this screen. When canceled, your GoNoodle Plus access will continue until you reach the end of your subscription period, at which point your account will return to a free account. Yes! Request a quote from our sale team or call us at 1 (877) 262-9269. You can cancel your subscription at any time, but GoNoodle Plus subscriptions are pre-paid for the year or month in advance, depending on your payment option. No. GoNoodle is free and always will be. GoNoodle Plus is a premium version of GoNoodle that gives paid subscribers access to additional content designed to integrate physical activity and core-subject practice. Can I play GoNoodle Plus games on my iPad, Android tablet, etc.? No. GoNoodle Plus games (Mega Math Marathon, Field Trip, Bodyspell , Word Jam, etc.) do not work on mobile devices or tablets at this time. These activities are playable only when using a desktop or laptop computer.